When founded in 1534 by Saint Ignatius of Loyola, the Society of Jesus was created with the best of intentions. Ignatius was so devoted to the Roman Catholic Church and the Pope he perceived an order of military monks whose purpose was to guard and protect the Vatican and to serve as missionaries of the faith. Ignatius was named the first Superior General of this small religious order. As leader he sent the missionaries throughout Europe to create schools, colleges and seminaries. His books Spiritual Exercises and the Jesuit Constitutions were published and made available to students of the Jesuit school. He was beatified by Pope Paul V in 1609, canonized by Pope Gregory XV in 1622, and is currently venerated as the patron saint of Catholic soldiers. Among the men behind Ignatius was the infamous Cardinal Francis Borja, grandson of Pope Alexander VI. Borja was the principle financier and architect behind the formalization of the Jesuits and helped secure the Papal Bull from Pope Paul III that give the Jesuits official status as an order. It was after the death of Ignatius in 1557 that trouble developed among the Jesuit leadership. Borja expected to be named the next Superior General but the seated pope then was Paul IV, an old enemy of Pope Alexander VI, and he passed up Borja. He named Diego Laynez as the next Superior General. This stirred a series of poisonings within the Vatican which included Laynez, and Borja thus became the Third Superior General of the Jesuits. It was during Borja's rule, from 1565 to 1572, that the directive of the Jesuit Order changed from that of service to the Pope to a military-styled organization of men with the tools in their hands to secretly gain influence and political power over the world. And it was all to be done quietly in the name of Jesus. While the members were technically monks, the Constitution of the Order exempted priests from a cloistered rule of living in monasteries, wearing clothing that allowed them to blend in with the world, yet to possess all of the powers of the Catholic priests second only to the Pope. And they could do all of this outside of the control of the regional clergy. Just before he died, Borja persuaded Pope Gregory XIII in 1572 to grant the Jesuits the rights to deal in commerce and banking. The Jesuits then did two things that became key factors to giving themselves the power and influence they have maintained over the world ever since. They used their access to the secret Vatican archives of books and information and used it to build an education system that overwhelmed the Protestant schools of learning. Thus they established a level of education excellence in Catholic countries. They also began competing with the Protestants in securing lucrative trade routes between Europe and the Far East. Under the leadership of Superior General Claudio Acquaviva the Jesuits bought the port of Nagasaki, Japan from a Japanese warlord, then turned the city into one of the most profitable trading ports in the world. They also established the Dutch East India Company, a major shipping company that became involved in slavery, drugs, spices and plantation trading. It became one of the most profitable business ventures in history. The Jesuit ownership of the port of Nagasaki gave the society a monopoly in the taxation of all imported goods shipped to Japan from all over the world. A Jesuit missionary Fr. Peter Claver of Spain established a ministry among African Americans in Columbia. He became instrumental in developing a slave trade from Africa to South America for use in the gold mines. 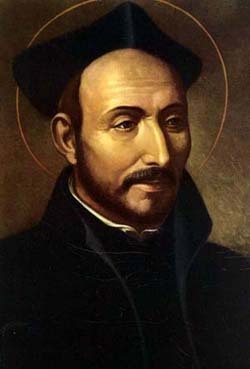 While technically Claver was among the worst slave masters in history, the Jesuits transformed him to be the patron saint of slaves. An estimated half million slaves were shipped to Columbia under Claver's watch. Because of him the Jesuits monopolized slave trade during that period. They also became known as assassins among royality and noble families when it became to their best interest to shift the power of a nation. Newly crowned kings and queens often died under mysterious circumstances. It was their role as assassins and controllers of education that led to an attempt during the Eighteenth Century to strip the power of the Jesuits. At that time the Protestant nations like England, Germany, Russia and other Northern European states were gaining in commerce, industry and even education. Jesuits were expelled from Portugal by the Marquis of Pombal in 1758 and King Louis XV of France in 1764. In 1769 Pope Clement XIII called for a consistory of bishops to vote on a Papal Bull that would disband the Jesuits. But the Black Pope, General Lorenzo Ricci, arranged to have the Pope murdered the night before the gathering. The next Pope, Clement XIV, a trained Jesuit, signed the order to disband the Jesuits and the Jesuit property was seized, priests were executed and suppression of the order was underway. Ricci was allegedly imprisoned for the rest of his life. Even from forced confinement, Ricci successfully had Pope Clement XIV assassinated. Some believe he also escaped to America. While efforts were made by the two Popes Clement to disband the Jesuits, there was a law in the church that made it impossible to accomplish this with any degree of success. It seems that anything a Pope does by Papal Bull cannot be contradicted by a later Papal Bull. The original act remains in force, Thus the Jesuits were in a position to rise up once again. And this happened in Russia. Frederick of Prussia saw the value of the Jesuits as educators and refused to promulgate the Pope's order. Catherine II of Russia agreed and did the same thing.Thus Jesuits became parish priests and continued to teach in the Jesuit Colleges in Russia and Prussia. Eventually the Fathers called a General Congregation and elected Stanislaus Czerniewicz, the Rector at the College at Polotsk, as their Black Pope. When Czerniewicz died in 1785, Fr. Gabriel Lenkiewicz was elected his successor. Two years later Lenkiewicz moved in on the houses of Europe to get his revenge. He thus led the world into major military conflicts and the deaths of millions. There is much more to this incredible report.